I started writing this post weeks ago and it's been a constant battle, much like the one taking place between the clouds and the sun these days, with the clouds being declared the undisputed winner. It's not like I've run out of things to say, or that I dislike gray days. I quite like the achromatic neutral color gray, seen as boring to some, but quite impressive when placed near its counterparts black and white, with an additional hue thrown into the mix. But my love of gray fades quickly when it's no longer part of a painting, photograph or segment of a wall, but instead becomes the color of sky viewed outside my window, day, after day, after day. Then my view of it and my mood changes quickly, turning my once clear brain to fog. 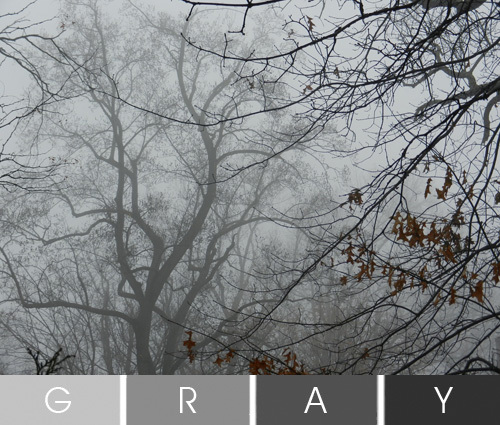 Gray, grayer, grayest... sadly, this has been the grayest of winters. So I write and rewrite, while 'singing' & 'listening' to the blues, mostly 'Boogie Street' sung by Leonard Cohen and Sharon Robinson. First played over and over again on CD then replayed on a loop inside my head. Unlike Bill Watterson, creator of the comic strip Calvin and Hobbs, who said, "I like these cold, gray winter days. Days like these let you savor a bad mood."... I like the occasionally cold, gray, snowy winter days that give me permission to remain indoors to lounge about in pajamas or stay in bed under the covers with a good book or movie, while sipping hot cocoa. Those are happy cozy times. Unless the few days turn to many, then cozy and happy become slothful and depressing. Right now I'm feeling somewhere between lazy and pessimistically sad. Leonard Louis Levinson once said, "A pessimist sees only the dark side of the clouds, and mopes; a philosopher sees both sides, and shrugs; an optimist doesn't see the clouds at all - he's walking on them." I'm the impatient realist who sees the clouds and knows there's a sun somewhere, but refuses to wait, and chooses to pout. Rather than pout, I should be pleased that I live in Philadelphia, Pennsylvania instead of somewhere like Cold Bay, Alaska where clouds appear 354 days a year! "Mostly moody in the morning, with scattered drama and perhaps a few tears. Increasing loneliness in the afternoon, with a slight chance of happiness throughout the day. Areas of regret and remorse in the evening, otherwise pleasant." "Record high ambition in the morning, with polar confidence continuing throughout the day. Areas of regret and remorse in the evening, otherwise pleasant." "Gale force zeal expected in the morning and continuing throughout the afternoon, with SW to NW optimism. Overcast doubt likely in the evening with a 20% chance of satisfaction." I know I'd be 100% satisfied if the sun made an appearance and stuck around for a while. But like a child's game of peek-a-boo, one minute you see the sun, and the next minute, for a few weeks, you don't. All this talk of clouds and lack of sun is making an unpleasant situation worse. Time for chocolate!... the cure for whatever ails me, even if only temporarily. But to paraphrase Onslow, a disheveled character in the British sitcom 'Keeping Up Appearances'... I'm completely surrounded by no chocolate"... in his case, no beer. "Your smile always brightens the cloudiest days." Aww... my sweet in print. So with a grin on my face and determined to be happy, I sit in front of the computer and spot this interactive piece by Rafael Rozendaal called, "Electric Boogie Woogie" based on the Piet Mondrian painting called "Broadway Boogie Woogie". Watch the 'Boogie Blues' turn 'Jive Boogie' here. 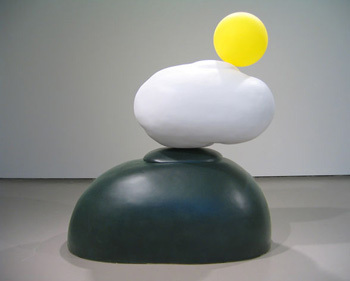 Then I notice this series, called "Nebula Humilis", by Spanish artist Lola Guerrera. 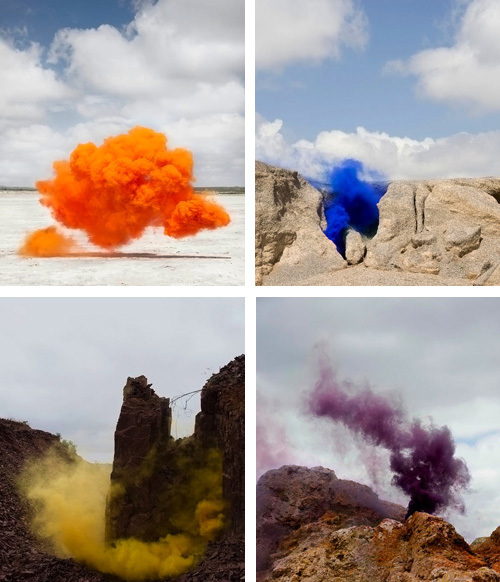 She artificially creates colored clouds and photographs them in the Mexican desert. While in the background, I play "Here Comes the Sun" and "Good Day Sunshine", two songs by The Beatles, again and again. 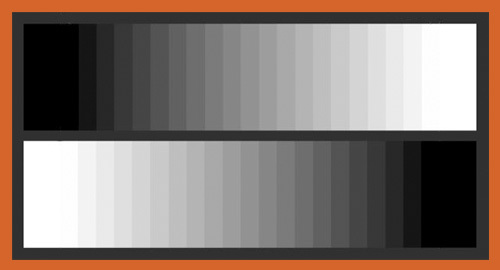 With this post nearly finished, and the resolve not to reference the achromatic, neutral color previously mentioned, I begin to feel a bit better. Whether this pleasant mood lasts, will depend mostly on the weather. A seven day forecast for plenty of sunshine should do the trick. What tricks do you have for improving your mood when the weather gets you down? Any weather related stories to tell? Love it? Hate it? or Ambivalent?... your opinion on the color gray. View clouds photographed 365 days a year here. Check out the current moods of others from around the world here. Click 'We Feel Fine', inside the heart, wait for it to load, then click on one of the many colored dots moving about the screen. To learn more about the project go here. Listen to Leonard Cohen's "Boogie Street" here. Listen to The Beatles "Here Comes the Sun" here and "Good Day Sunshine" here. Sun, sun, sun... here it comes. That's impervious to being wished away. Thus cradling this "Unwanted Guest's" stay. would be mere waves of the spectrum. is the gift that is you. Your words are rich in thought and so very poetic. Writing is just one of your many talents. Thanks for sharing your 'gift' with me... it's a 'present' that has made me feel connected, appreciated, and understood. Joe certainly is poetic. Very nice thoughts expressed so artfully. Loved the quote from L.L. Levinson. The first thing I thought when I saw the first illustration was, "A Zagorski project!" That was the project from hell and I remember spending sleepless nights and shedding many tears over that project. So shades of gray don't conjure up pleasant memories for me. However, I have made peace with gray. As a matter of fact, many of the walls in my house are gray as is the carpeting. It's a soothing, calm color and a good foil for the accent colors I love. Like you, I hate all these many gray days. Last Sunday was a particularly bad mood day. I just let myself wallow in it and didn't try to shake it off. Usually, I feel better the next day or when the sun comes out (whichever comes first). I know one thing for sure...it's a good thing I don't live in the northwest where they get lots of rain and cloudy days. It would be very bad for my mental health! Wouldn't it be fun if clouds were different colors like in those pictures! Imagine an overcast day in any of those colors! No bad mood then! Funny, I don't remember doing a grayscale project for design. But I do remember my 'project from hell' with Zagorski... the one where we had to take an object and replicate it in 3D so many times larger than the original size. I chose a screw and worked it up in clay. Zagorski kept telling me in his thick accent..."Pro-bob-i-ly you do over"... again and again until I finally said, "Screw this, I'm done... just not to his face. Colored clouds... I agree with you. Imagine no longer feeling out of sorts on gray days with just a bit of color in the sky. Today's another gray one and we're just sitting around waiting for the next round of snow to head our way. Too bad we've gone through our stash of sweets in prep for the storm. Now what do we do when the white stuff finally gets here?